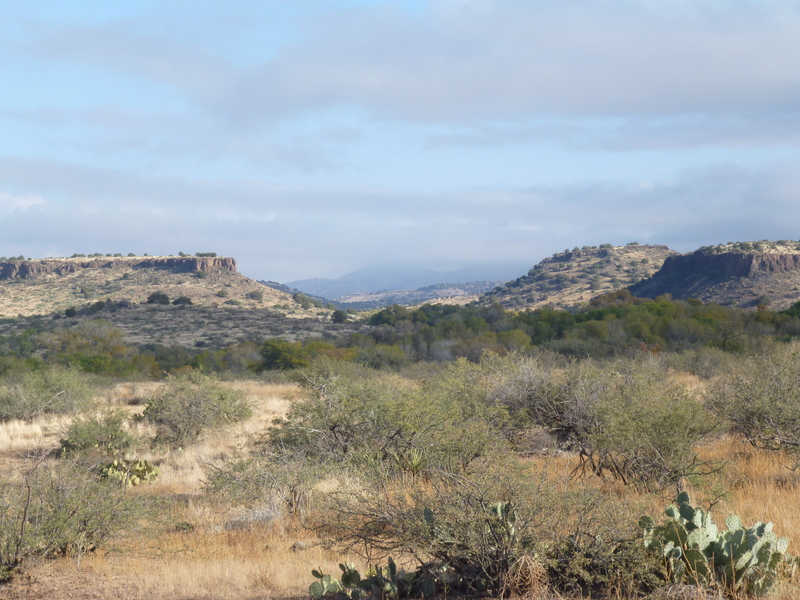 Pam and I packed up the Roamer and headed to central AZ for an extended weekend. It’s one of the nice perks of being retired. We headed to Cottonwood to visit with Chuck and Lori and then to the Orme School for an alumni work weekend. 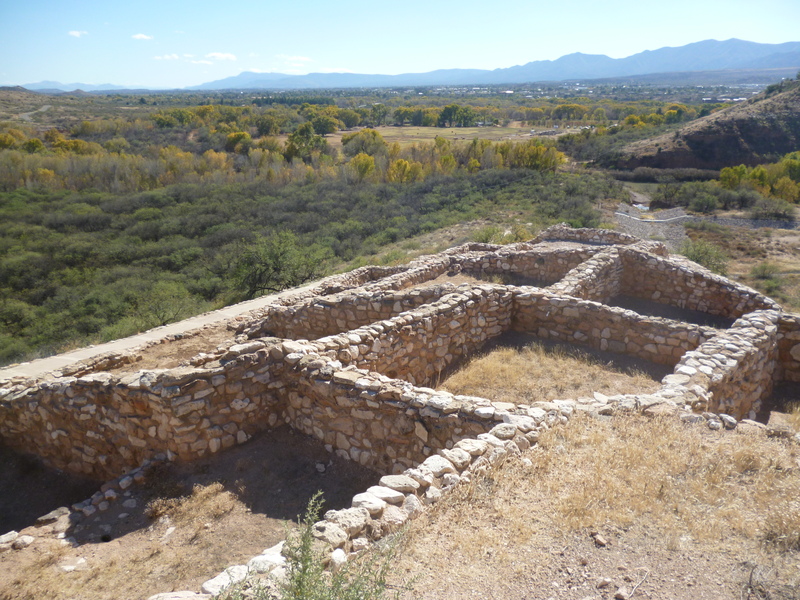 We stopped at Tuzigoot, an old Indian settlement in the Verde Valley that dates back to the 1300’s. 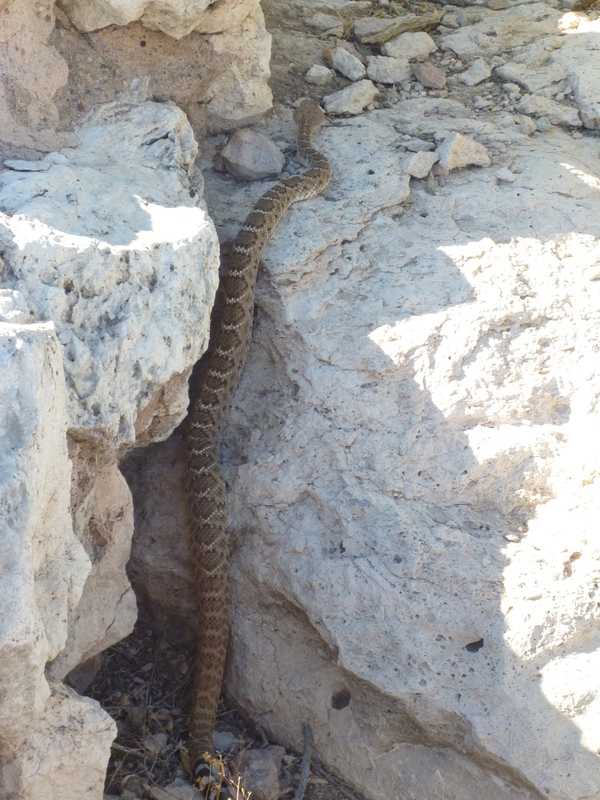 On our way out we ran into a rattlesnake getting the last of the fall sun along the Tuzigoot walk path. 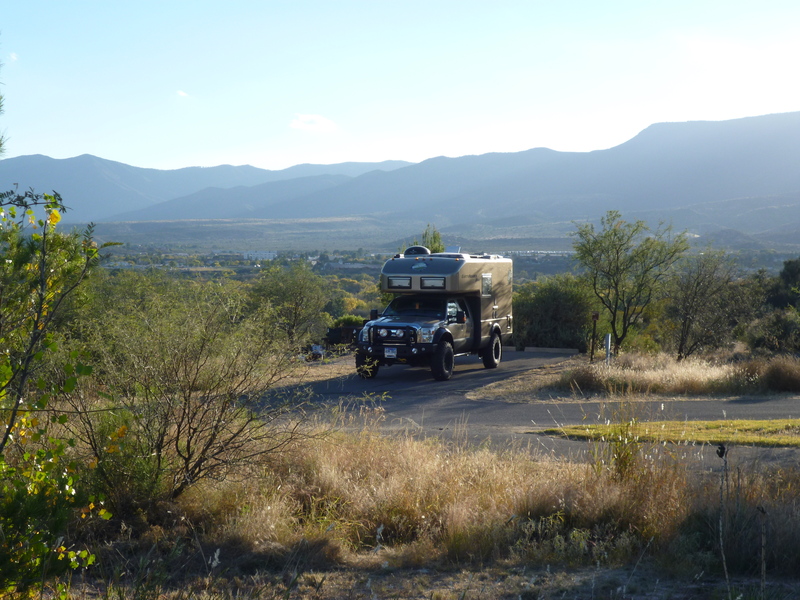 We camped at Dead Horse Ranch State Park in Cottonwood and had a great view overlooking Cottonwood and the Verde Valley. It was a nice backdrop at night under the stars at our campfire with Chuck and Lori. We visited the new copper museum in Clarkdale. 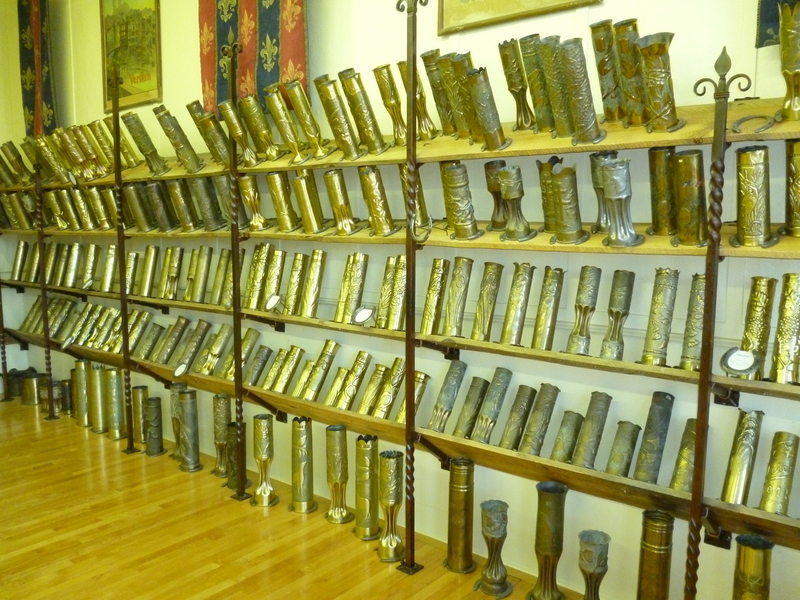 It was very impressive and one room was full of art made from spent WWI artillery shells. 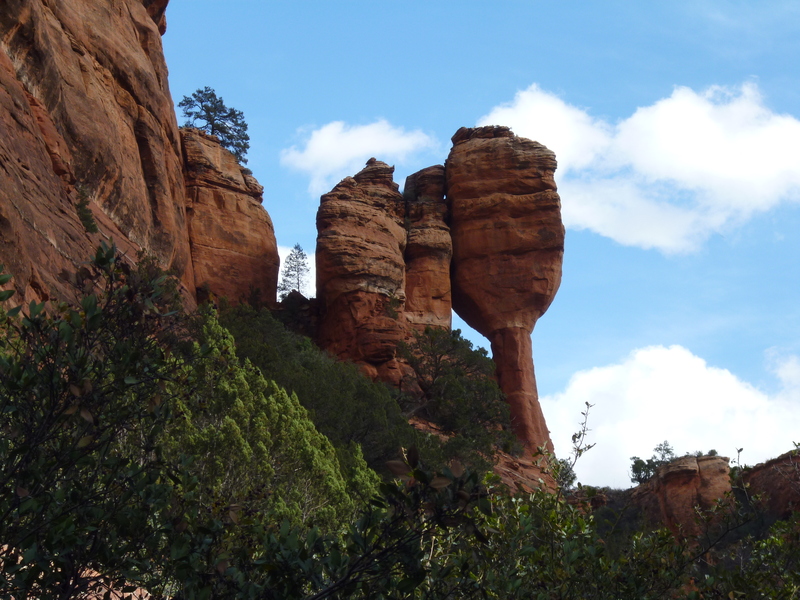 We hiked Fay Canyon in Sedona to see some interesting rocks. 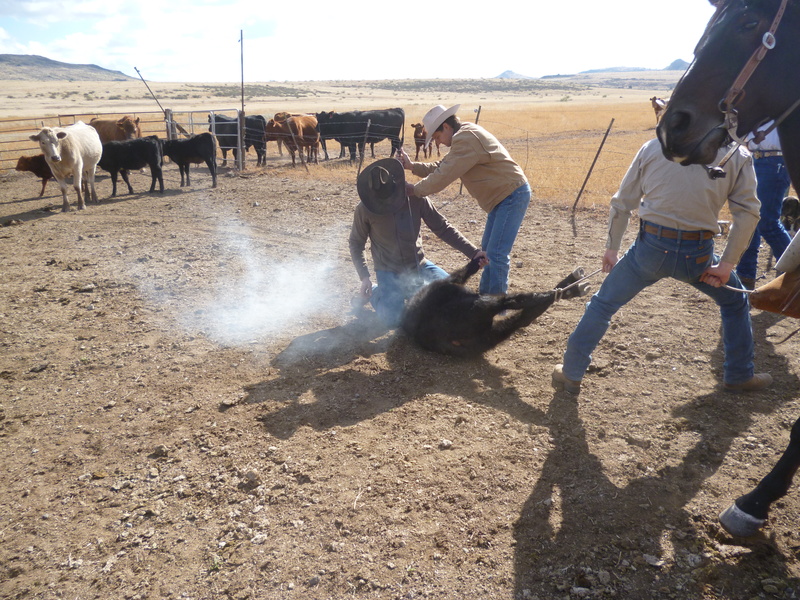 At Orme I got to ride out to help round-up some cattle for branding. Hy horse was a tall mare, but used to caring smaller kids so it got a little tired of me as the day wore on. It decided to spin one time during my mount and I went right over the saddle and landed right where I started next to the horse. Luckily all that was hurt was my pride. 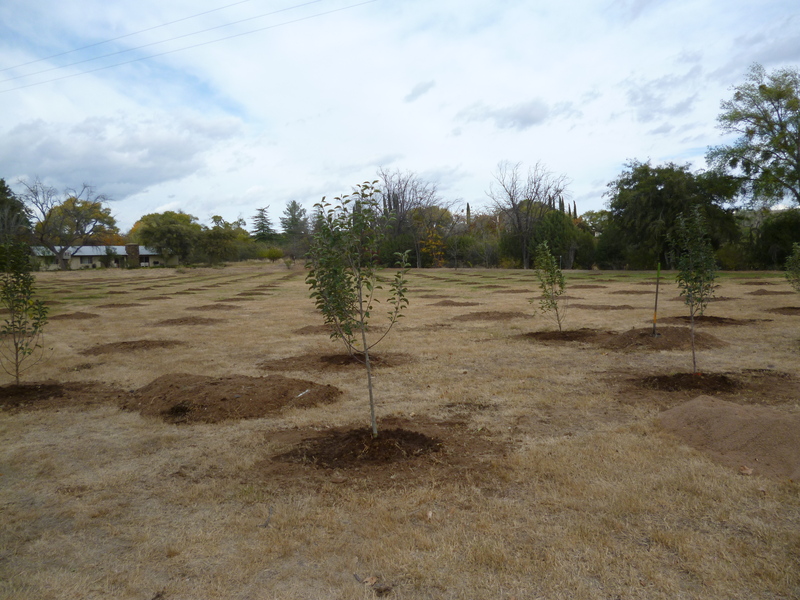 Pam helped to sort through the archives for the new Orme school museum and help plant the start of the new orchard that will be part of Orme’s growing sustainability program. There was a campfire Saturday night at Orme with the students and Alumni that was really nice. Although it’s starting the get chilly at night so the fire felt good. The Mesas look good in the fall from Up-top. Back home now and looking at another trip next weekend.